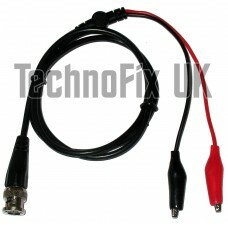 BNC male to crocodile clips test lead for signal generator oscilloscope etc. A useful test lead with lots of applications around the workshop. Use with your oscilloscope, signal generator and more. 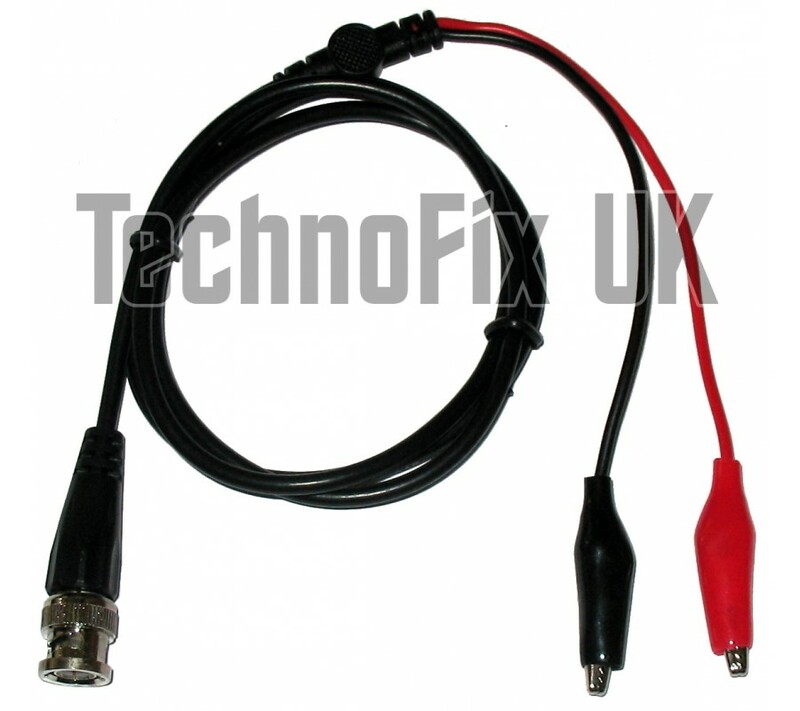 One end of the cable has a male BNC plug which typically connects to your item of test equipment. The other end has insulated crocodile clips to connect to the device under test.